One of my goals in January was to complete reading the entire Bible by the end of the year. I carefully selected a different version of the Bible to read this time. Studying from a different version of Scripture can breathe new meaning into a passage. This has been such a blessing as I have read over familiar passages, in a different version of Scripture. I’m ahead of schedule. Now that I have reached Paul’s epistles, it occurs to me how much I have enjoyed reading God’s story. It’s been a blessing, and a daily conversation with my Heavenly Father. I’m already looking forward to doing it again. Reading every part of this amazing book has been a blessing. Of course we go to the Psalms when we are sad, or want to praise our Lord, and the Proverbs for wisdom. But every single book focuses on one main theme, presented in a different way – God’s redemptive process. We all need it. And it’s a gift we can all enjoy. You don’t have to wait for a certain date on the calendar to begin reading God’s Holy Word. He’s here to talk to you any time. Why not now? This entry was posted in Bible Studies, Christ, Christianity, Faith, God, God's Love, Spiritual Journey and tagged Bible, One Year Bible. Bookmark the permalink. a good, encouraging word, Julie. I am praying for you! Thank you Daryl. How are doing? a change in medication is helping a lot. My doctor is fighting with Blue Shield to pay for it. I am blessed and troubled at the same time. lol. well, I have turned over the troubling part to God. Thanks for asking! I love reading through the Bible in a year. I have done it for several years and choose anew version each year. It is such a blessing to spend time in His Word! I’m curious, do you have a favorite version? I really learned the Bible with the NIV so it is my favorite. However, in reading the Bible through in a year, the Message is easy to read like a story. Currently I am using the ESV. 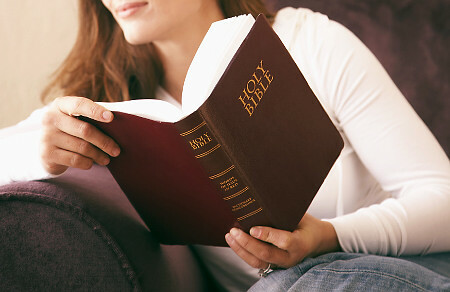 I love your suggestion to read the Bible in different versions. I tend to read it in my same old familiar one year after year. I love it and God continues to teach me. But I’m excited to try a new one next time. And thank you for encouraging us to begin today and not wait for January 1. There’s no better time to start than right now! I’m enjoying reading The Message version in chronological order. It really helps me figure out which prophets prophesied during which time periods. It also surprised me how much repetition there is between Kings and Chronicles. I think reading the Bible through in a year is very do-able for people who want to read the Word but don’t have a lot of time. It seems like a big task, but a year is a long time. Have you heard of the Voice Version? I was just introduced to it, and am thinking that might be the next version I read.